THE APPEARANCE Now Available - Trailer Within! If you Love a good period piece, you will be glad to know that writer/director Kurt Knight's new film is indeed a period piece, as well as a Horror film. You can view the trailer for the film down below. Jake Stormoen, Kristian Nairn, Adam Johnson, Michael Flynn, and Baylee Self. "Mateho the Inquisitor and his comrade are summoned to a monastery to investigate a series of mysterious murders and the alleged ‘witch’ accused of the horrific crimes. It soon becomes clear that something evil haunts the church and Mateho must act quickly to stop the dark vengeance from destroying everything in its path." 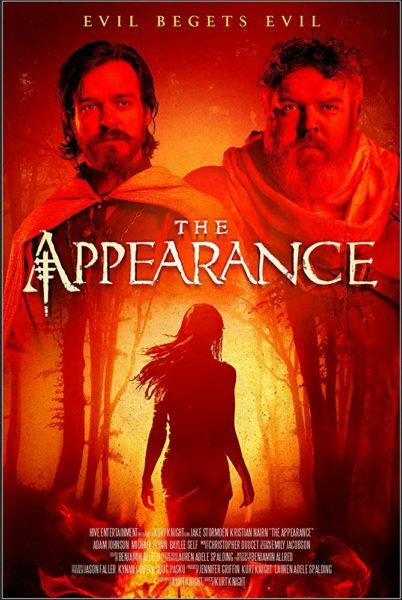 THE APPEARANCE is available now on VUDU, iTunes, and Amazon Prime Video to rent and own.